Looking for Guerrilla Features for MLM Software that allow you to EARN MORE MONEY when compared to other MLM Software on the market? Click here if you would like to read some testimonials from our clients! 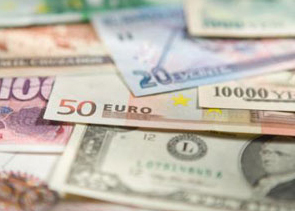 MLM Software, MLM Marketing Software, Multi-Lingual, Multi-Currency. Our Geurrilla MLM software is everything you will need to get a new MLM or Network Marketing Company off the ground, or take an existing company to a new level of business efficiency, either one making you MORE MONEY. Geurrilla Feature #1 - Personal Account System that offers Gift Certificates and Inter-Member Transfer capabilities saving you on Visa or Mastercard Chargebacks and Discount fees. Geurrilla Feature #2 - Auto Prospecting System available to give your members a proven system and track to run on to achieve success! More Guerrilla Features? Check out our extensive Jungle of a feature list below! Our MLM Software actually Makes You Money! Make sure to enquire if you can qualify in our "Share in the Risk" method of MLM Software Pricing, as well as our promotional MLM Consulting allowance included in all MLM Software purchases. AMember communication interface to use above search capabilities to get your subset of members and post a note to their members lounge, as well as email to them internally and email them externally all at once. Commission Calculation - Your Custom Commission plan built to your specification! AutoShip - Shows all members, their autoship day, volume, date of last autoship, Order Status and Signup Date. Hotlinked to Distributor Maintenance..
Unfinancial - Shows all Unfinancial Members and allows you to terminate from within report. Tax Summary -report for preparing your Sales taxes, or GST or VAT, if you are not using a service such as Avalara. Login/Pageviews Graphs -Graphs of how many logins/pageviews you have had by time frame. 7am PST to 11pm PST support by Skype, MSN Live Messenger, and even Phone if and when required. One of our clients switched over to our MLM Software from the MLM Software they had previously and were able to double in size and go from 24 staff members to 16. An absolute outstanding productivity gain! Another client ran a 10 million dollar per year MLM with just 3 corporate staff! The MLM Software goes right from your front end self replicating website, to a full members back office, to a complete administration and support area, and it is multi language capable. 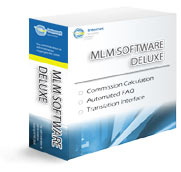 This is the full Multi-lingual MLM Software. It includes all admin functions including the automated FAQ system and distributor support functions, all the member functions including Gift Certificates and Inter-Member Transfers, real time graphical genealogy, and full translation interface for Multi-Lingual capability. Takes full advantage of the Personal Account System and includes your custom commission plan. (up to 40 hours programming time) Binary MLM Software, Uni-Level MLM Software, Matrix MLM Software, Hybrid MLM Software, even Stair Step Break-away MLM Software, our MLM Software is proven to provide for your needs.